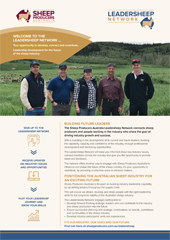 The Sheep Producers Australia Leadersheep Network connects sheep producers and people working in the industry who share the goal of driving industry growth and success. 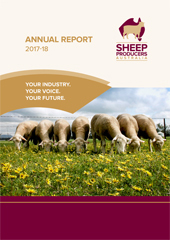 The Annual Report of Sheep Producers Australia for the 2017-18 financial year. 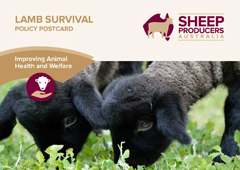 Sheep Producers Australia is working with industry partners including Animal Health Australia, Meat & Livestock Australia, WoolProducers Australia, tertiary institutions and government bodies to coordinate a lamb survival plan across Australia. The goal is to improve productivity within the national flock while also addressing an important animal welfare concern. 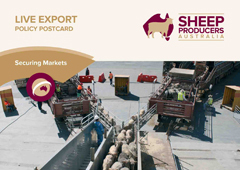 The Australian sheep production sector supports the live sheep export trade with improvements. This trade is a vital plank in the whole sheep production sector, particularly in Western Australia.